Will Beijing's billion yuan "loss leader" private hospital be the model for the future? Peking University's flagship new private hospital may lose almost a billion yuan but will still be counted a success if it drives other medical service usage, its backers say. An article by He Chunmei in the financial magazine Caixin this week heralds the opening of the 1800-bed Peking University International Hospital (PUIH), which is a joint venture by Peking University and the Founder Group. The hospital in the north of the city is expected to lose as much as 800 million yuan but Founder CEO Li You says this is acceptable if the hospital generates revenue in other areas. "It's like a company's advertising department that spends money. We will earn money from other sectors. But the hospital is the foundation," he is quoted in Caixin as saying. 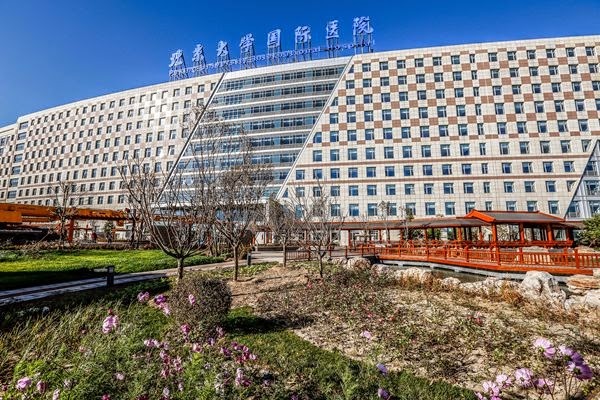 The new hospital is being portrayed as a flagship of China's foray into privately-invested healthcare as an alternative from the current overcrowded and underfunded public system. One of the main barriers to private hospital development in China to date has been the regulations that bar doctors from working outside the official public hospitals. The new hospital will test the recent relaxation of these rules by the government. But employment restrictions have not been the only barrier to private healthcare facilities - many clinicians have been reluctant to work outside the big hospital system for a variety of reasons - fear of stepping off the well-established career pathway, losing peer support groups and moving outside the system that is recognised by health insurance rebates. Doctors have also been unwilling to go it alone and take on the medicolegal risks of operating outside the mainstream system, especially at a time when patients are becoming increasingly distrustful of the healthcare system and prone to taking aggressive action in medical disputes. The new Peking University International Hospital may overcome many of these reservations because it will 'share' doctors and other healthcare staff from other Peking University-affiliated hospitals, which already enjoy a good reputation for quality care. However the management of the new hospital acknowledge that the new workforce 'sharing' arrangements will require some work and 'adjustments' to coordinate different departments and different hospitals. The hospital says it will lure staff with offers of higher pay, which will be guided by the market rather than the patchy, commission-based remuneration of state-controlled public hospitals. "Head doctors usually earn several hundred of thousands of yuan every year at a public hospital," said Li You. "But if necessary, we'd like to pay more than 1 million yuan. We will fully follow the market." The private hospital will also differ from public hospitals in being managed by a board of directors representing investors. Public hospitals are often a conglomeration of mini-empires, with directors of departments often having a lot of power and being unaccountable in terms of services, revenue and purchasing. The Peking University Healthcare groups say they will be able to implement a more efficient system as they will have a controlling interest in the hospital, whereas public hospitals are often controlled by government agencies, business groups and hospital managers that are resistant to reform. Li says his ambition is to pioneer a new model of hospital management based on integrated databases that will create accountability and efficiency in procurement, servicing and supply. The management system will also encourage doctors in departments of larger hospitals to sponsor and support similar departments in smaller branch hospitals. "We will grow to become China's largest hospital management company," Li told Caixin, "and control the largest medical database."